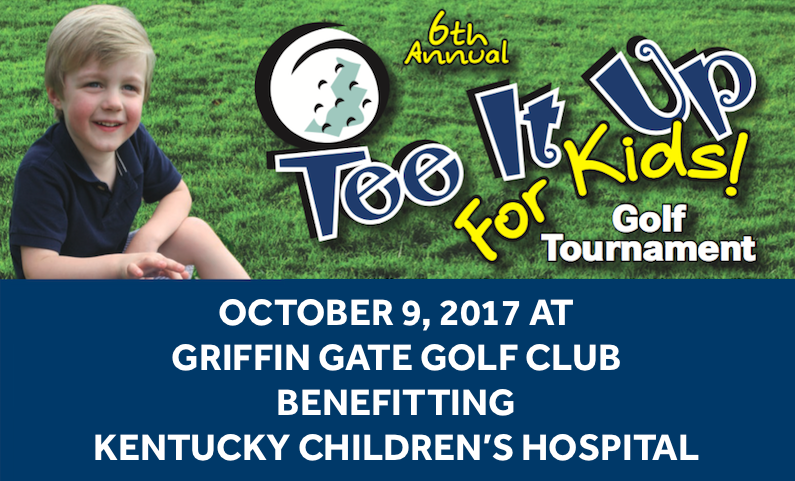 Join us for our 7th Annual Tee It Up For Kids Golf Tournament benefitting the UK HealthCare Kentucky Children's Hospital on October 9! We're thrilled once again to be supporting this incredible operation providing much needed services to over 70,000 children annually. Sponsorship opportunities available including hole, cart, awards, and event sponsors. Space is limited to only 32 teams of 4 so contact us soon to secure your team's participation. Download the flyer below for additional information and to secure your sponsorship and/or participation. We look forward to a successful event next month!